The weekend was boring as hell!I went to TAP on Saturday but the place was already invaded by little kids and I saw Dave there and took a video of him playing DDR. Nick and Sarah dressed up as pirates for the birthday so...haha.I left early because it was raining...A LOT!Sunday was also boring BUT I bought Kamen Rider Camo!!w00t! Saturday night,I went into KamenChat and talked with DK09.Somehow our chat has turned into a live fan fiction...kinda.Here's a bit of the fan fiction because the whole thing took up 17 pages! 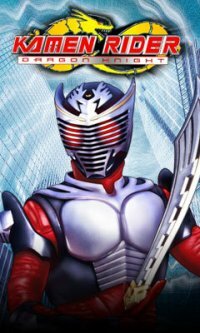 Before you read it,I just wanna let you know that I finally met Blade2010,the Rider who saved me when I was ambushed by Kamen Rider Strike...but I don't know if that was a good thing or a bad thing after my recent trip to Ventara with DK09. [DK09] You've been controlled by Xaviax. Me and Kamen Rider CHiCA came here to save you! [DK09] Please! You need to help her! She is unconscious. I need you to use your healing powers to help her. [Blade2010]CHiCA is now cured and so is her shoulder! [DK09] C'mon we need to leave! Strike, Knife and Xaviax could be anywhere! [Xaviax] Are you going somewhere? Kamen Riders? [Blade2010] Stay down! This is my fight! [DK09] Let's do this Riders! Ready CHiCA? [Blade2010] I told you! This is MY fight! I will destroy Xaviax! [CHiCA] But we wanna help! [Blade2010]: You and DK09, and Kc1000 can help by staying outta my way! [Strike] Don't worry, they will be too busy fighting my newest creation! Me and DK09 plan on making the next part of this soon.Can't wait.He wants to start it already! Nice fan fic you have here CHiCA. I just happen to stumble across this after going on KamenConnection. So we have 2 fan fiction stories going on right now...lol. Let me know if you want any input from me.